A woman’s struggle to have a child yields a joyful surprise- the birth of a new self. 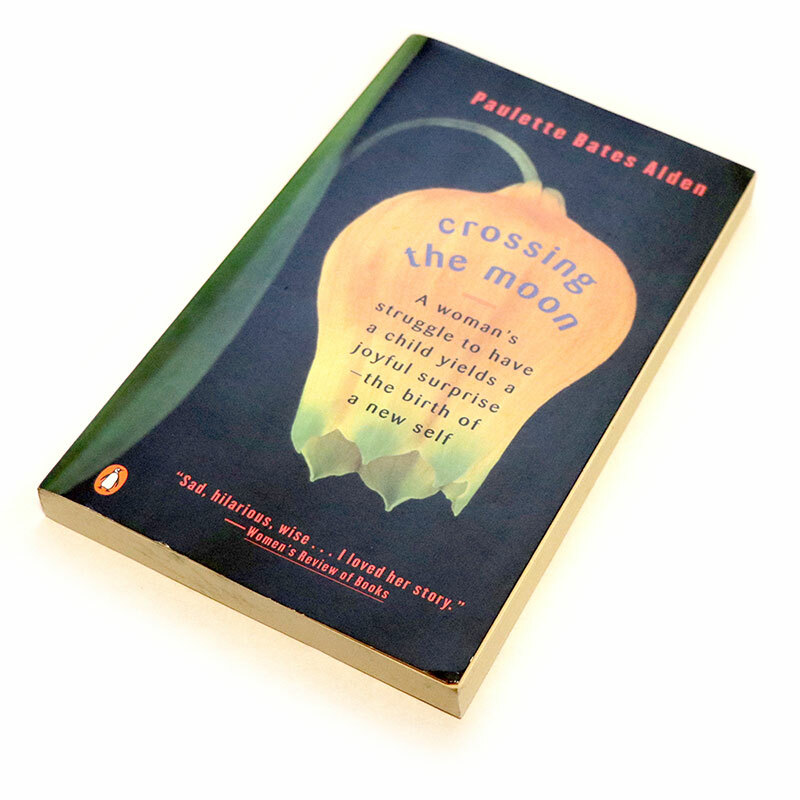 In her memoir, Crossing the Moon, Paulette Bates Alden recounts her own initial ambivalence about motherhood, embarking on a course of infertility treatment, and coming to terms with not having a child. The book is also an exploration of growing up Southern and female in the fifties; the conflicts encountered by a whole generation of women in the ’60’s when feminism overtook the traditional feminine roles of wife and mother; the aging of parents; the “bending and mending” of a mother and daughter relationship; and the importance and meaning of writing as a life choice. “Paulette Bates Alden is a writer’s writer, a stylist who illuminates both the inside and outside worlds with rare emotional precision. Her memoir displays a subtle intelligence that quietly addresses the deepest issues of everyday life. Her writing goes down easy, yet stays long in the head and heart.